Virgin Australia has expanded its codeshare agreement with Air New Zealand, adding its code to an additional 17 routes across New Zealand. The move, which follows regulatory reauthorisation of the trans-Tasman alliance between the airlines, and adds to existing trans-Tasman codeshares and some domestic services. 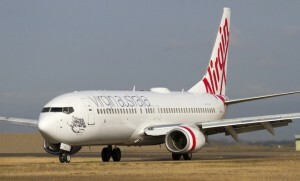 The trans-Tasman alliance between Virgin Australia and Air New Zealand was launched in 2011 and was recently reauthorised until October 2018.